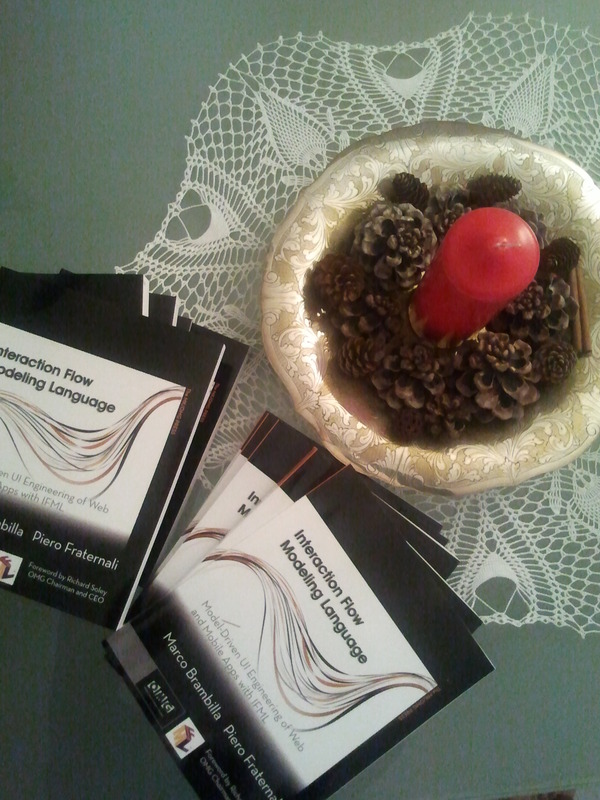 With the lead of Marco Brambilla, I co-authored the Interaction Flow Modeling Language (IFML), now approved in beta as a standard modeling language by the OMG (www.ifml.org). IFML is a UML-based modeling language for representing the interfaces of web, mobile and desktop applications, which supports code generation and model checking. With Stefano Ceri, I am co-author of a patent (owned by Politecnico, granted in Italy, Nr. MI99 A 001534, Europe and US) on the WebML conceptual modeling language. 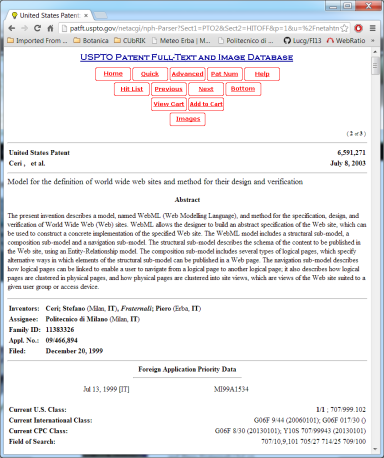 The patent describes the syntax and semantics of a novel XML-based language for describing Web applications, which is the base for developing new-generation CASE tools for multi-device, personalised hypertextual applications. The first commercial exploitation agreeement has been signed in July 1999 between Politecnico di Milano and TXT e-solutions (http://www.txt.it), an Italian IT company floated on the Italian Stock Market on July 12th, 2000. WebML has been incorporated into the Polymedia tool suite, one of the main product lines of TXT e-solutions. A second commercial exploitation agreement has been signed with Digia Oy (http://www.digia.com), a Finland based company operating in the field of wireless applications.